Today, beauty, health and wellness is one of the major markets in our country, especially for our Filipina women. That's why there are many business companies, in different sizes, are investing on this industry. According to statistics, the Philippines registered a 7.7% growth per annum, with sales valued at $2.2 Billion for the cosmetics industry alone. In addition, there are about 70,000 sari-sari stores all over the country, making the beauty, health and wellness products accessible to the market. 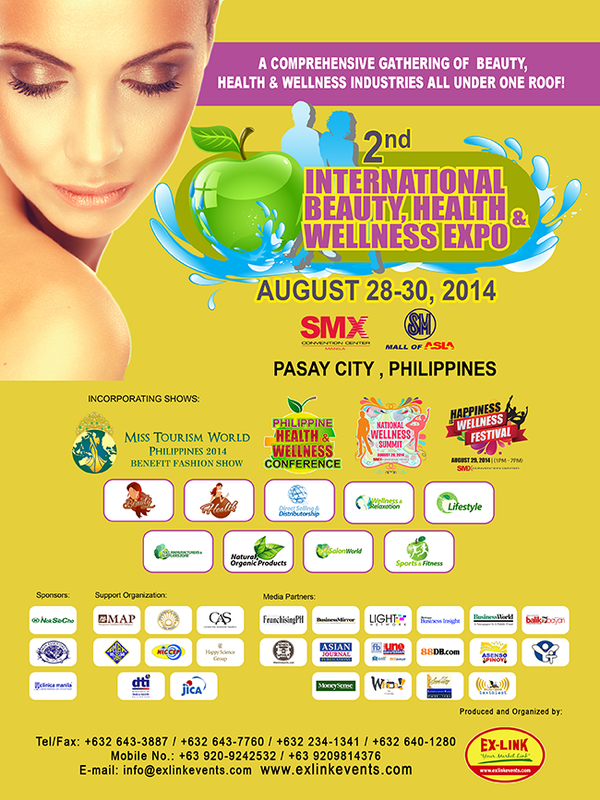 To celebrate and promote the ASEAN products and services all in one roof, the International Beauty, Health and Wellness Expo is back, set this August 28-30, 2014 at the SMX Convention Center. Beauty, health and wellness entrepreneurs and enthusiasts are expected to visit the three-day event. Zerona Laser Slimming & Aesthetic Corp. The event is produced and organized by Exlinkevents – Business Events Organizer. For more information about the event, you can pre-register at http://www.beautyhealthwellnessexpo.com.ph/ and follow twitter.com/IBHWEX and facebook.com/beautyhealthwellnessexpo. Rockin' the Systems Integration Philippines 2014!